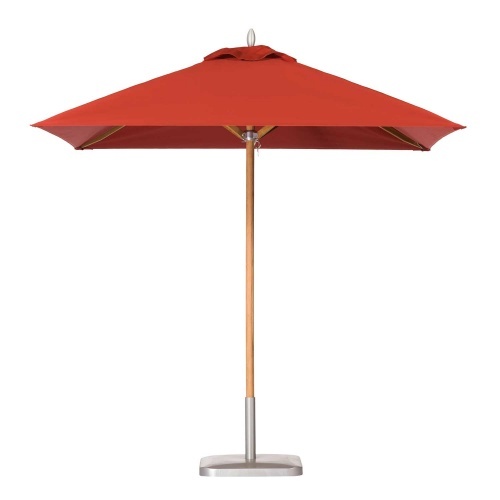 7ft Square, 6'8" Ground Clearance; Overall Height 8'9"
Engineered to withstand the test of time the Montecito Umbrella collection is offered in both premium teak and anodized aluminum. This exclusive collection is available in our most popular shapes and sizes. 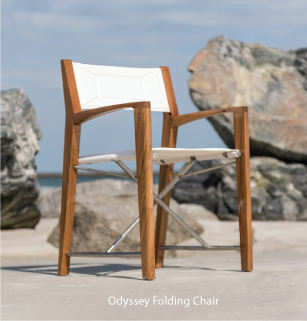 Perfect for resort or residence, oceanside or cityside. Entirely crafted in Southern California for commercial and residential projects. 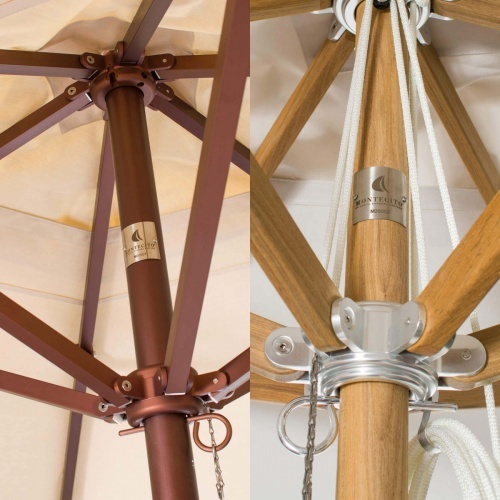 Each umbrella is made to order and takes approximately 4 to 6 weeks for assembly and delivery. Montecito canopies are offered exclusively in Sunbrella 100% solution-dyed acrylic awning grade fabric, sewn with Gore® Tenara® thread. Choose from many fabric colors. 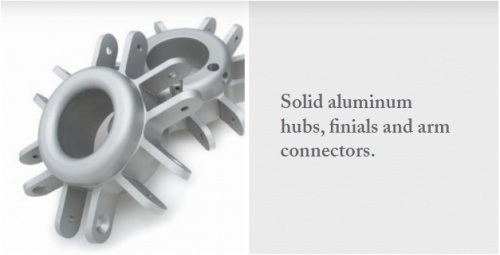 Solid aluminum hubs, finials and arm connectors. 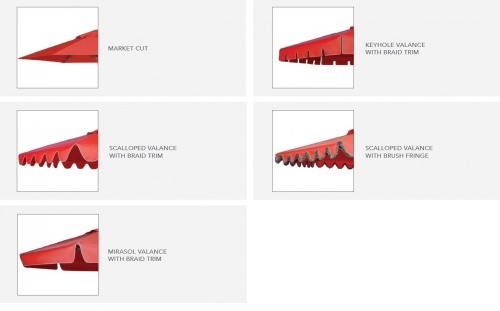 Choice of Valance: Scalloped valance, Keyhole valance or no valance (Market Style). Choice of Braid Trim (the thread edging of the valance). Stand Alone Base: 100-lb. 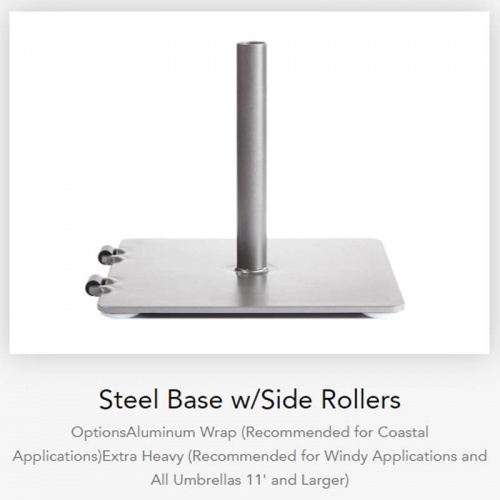 anodized aluminum base for stand alone use (without a table) complete with hidden side rollers for easy repositioning, available in four matching finishes. 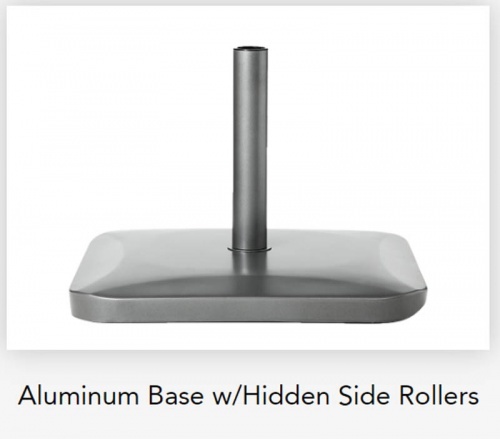 Steel Base: Flat Steel Base available in 8 powder coated finishes. 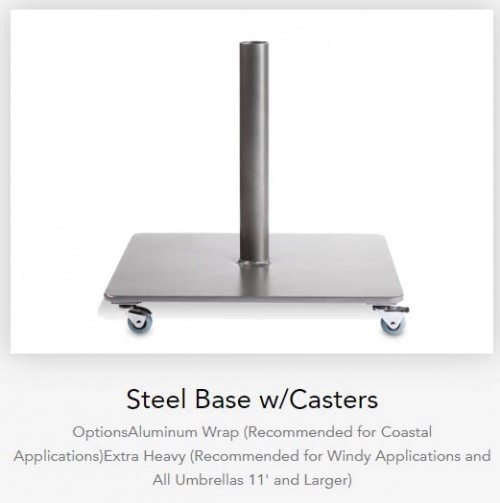 Coastal Steel Base: Flat Steel Base wrapped in powder coated aluminum for use in Coastal Areas. 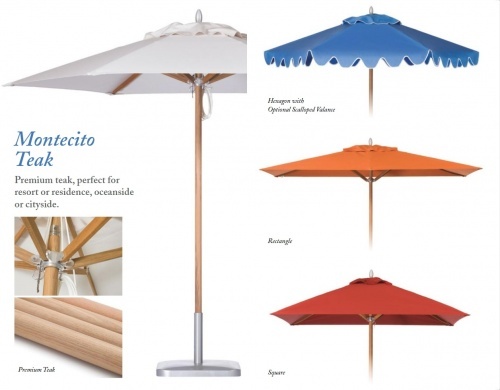 Montecito Umbrellas are custom made to order per your specifications and are not returnable.